When you're establishing, expanding, or re-energizing a business, the best place to start is with your business plan. Whether you want start–up money from investors or are looking to expand or re-energize your business, a business plan will give you a defined road map to help you get your business moving. Business Plans Kit For Dummies, 4th Edition has been updated to give you the very latest information on today's current economy and its impact on business plans; dealing with venture capitalists; getting start-up money in any economy; incorporating social and ecological responsibility issues; and developing a plan conducive to marketplace changes and advancements. 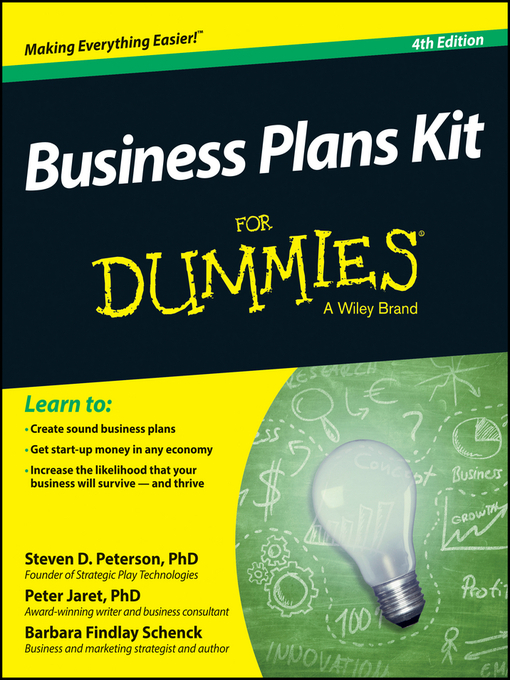 If you're a small business owner, investor, or entrepreneur looking for expert guidance and friendly tips on developing and implementing a strategic plan to help your business succeed in any economy, Business Plans Kit For Dummies has you covered!